Remember the saying “Work smarter, not harder”? Thing is, it still rings true—especially when it comes to gardening. There are many good reasons why you turn to your old standbys, from the go-to hose and trusty watering wand to the sprinkler that’s done the job year in and year out. 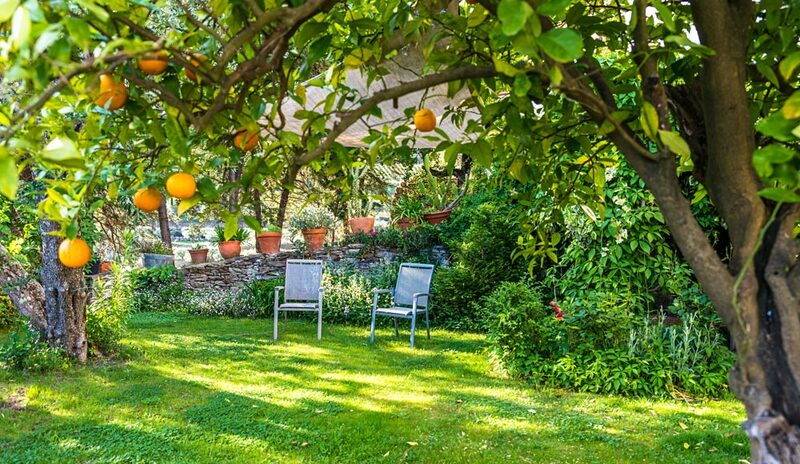 But there are lesser-known watering tools to help you work smarter, not harder, in your quest for a healthy, beautiful outdoor living space. You know how tiring it can be to have to squeeze a lever while you water…water…and water your garden. Make your watering tasks easier with Gilmour’s Thumb Control Watering Nozzle. You can turn the water on or off and adjust your water flow with an easy flip of the thumb. Watering a delicate flower bed? Rinsing potting soil off the patio? 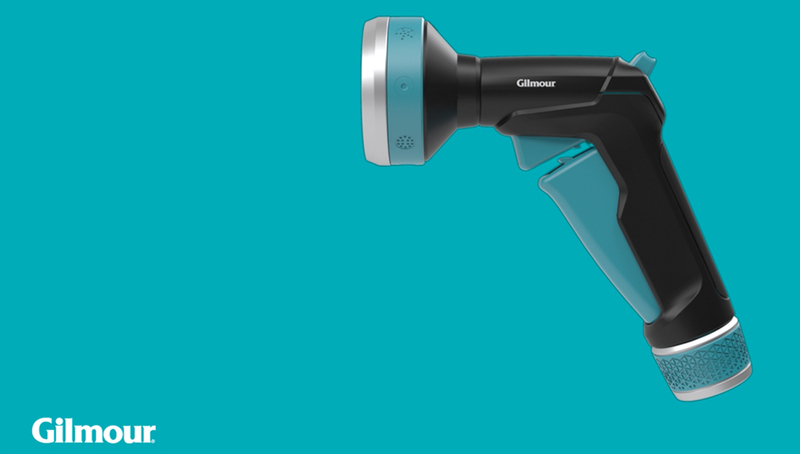 This nozzle includes eight different patterns, so you can customize your spray to your task, from fine mist to powerful stream. 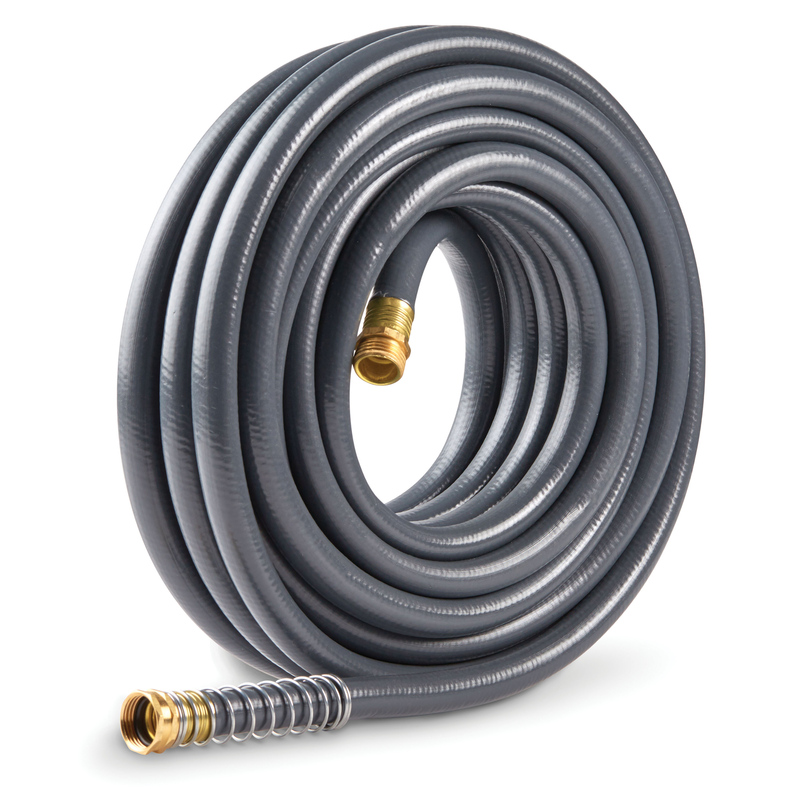 The best way to water your plants gently and evenly while reducing your overall water usage is with a soaker hose. Just roll it out near the base of your flowers, vegetables, trees or shrubs and let it drip straight down to the roots. Bury it under a thick layer of mulch and leave it in place all season long. You’ll be amazed at how a soaker hose frees up time that you would’ve spent standing and watering. To make your life even easier, attach a timer (see below) so you don’t have to worry about turning it on and off. Conserving water is important no matter where you live, and water timers are an essential tool to help you use only as much water as your lawn or garden needs. The Dual Outlet Electronic Water Timer is an easy-to-use, durable water timer that automatically turns water on and off. Because it includes two outlets, you can run water through two different hoses simultaneously—perfect for watering multiple areas of your yard in half the time. Just connect your hose and sprinkler to it and you can water in the early mornings without having to leave your breakfast table. Give your garden a gentle morning shower. Elevated sprinklers are ideal tools for watering delicate seedlings and flower gardens. It’s simple to use—just spike the base into the ground near your garden, hook up your Flexogen hose and let the sprinkler do all the work. The soft shower spray will give your plants and grass the nourishment they need with just the right touch. You’ll be the talk of the neighborhood when you put a Dual Shut-Off Valve to work. You can hook up two hoses at once and control them separately. Send one hose to the vegetable garden to water the seedlings and the other hose to water the dry spots in your lawn. “Full flow” means you’ll enjoy a strong, consistent stream of water—up to 45% more than standard valves. You’ll get your watering chores done in half the time, leaving more time to enjoy your beautiful lawn and garden. These five gardening tools will help you work smarter, not harder. Now that’ll make your day spent in your yard a Betterday every time.